“Where is that?” was the question I was most asked before heading down to Paraguay this past Thanksgiving. I had to admit I knew little about this country when I left, yet the trip ended up being one of the most significant ones of my life. Filled with Thanksgiving gratitude, I relished the opportunity to be introduced to the people of this wonderful country. 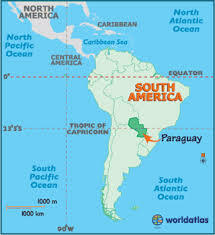 A quick geography lesson; Paraguay is a small, landlocked country sandwiched in between Argentina, Bolivia and Brazil. It has been through its share of dictators, wars and heartbreak but is now experiencing strong economic growth and a growth spurt in education across the country. The planning for my visit took over a year. Via many Skype conversations, Richar and I built a relationship of mutual trust. He is full of passion, smarts and guts with an easily accessible laugh and ever-present twinkle in his eye. He often quotes his mentors like John Maxwell, Tony Allesandra, Rick Warren and Steven Covey and his students pretty much adore him. The series of events included a commencement address to the graduates where I shared three life lessons I have learned; make others feel important, listen to your inner voice and dance with discomfort. To demonstrate the last point I spoke about learning to play the flute again after 40 years. I even played a few bars of My Favorite Things from The Sound of Music. 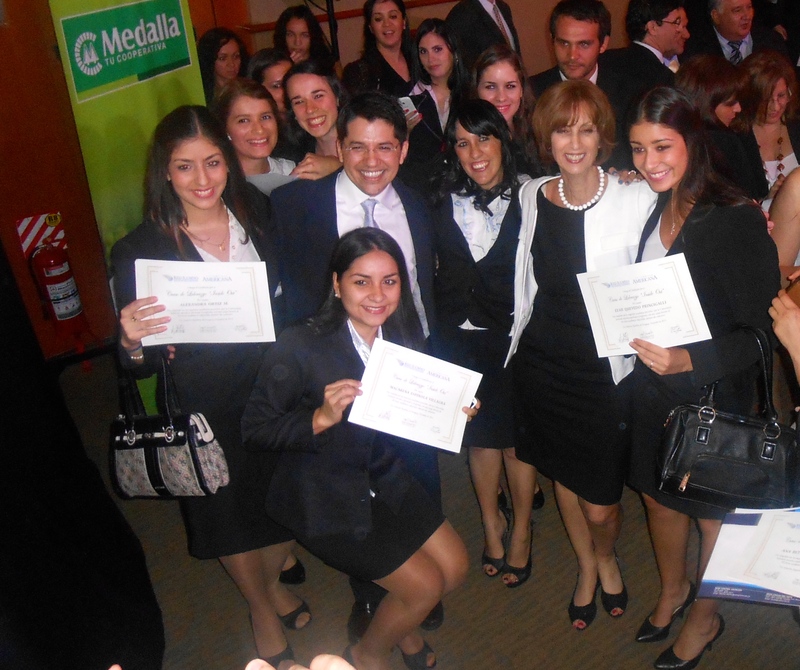 As the “Madrina”(Godmother) I was honored to hand out the diplomas with the Dean Dr. Juan Beranger and Bernardo Portillo (General Manager of sponsor Medella Milagrosa). A press conference was held to promote the introverted leadership program and to share key ideas around quiet influence. There was a delightful visit to the local elementary school where the 5th graders enthusiastically sang to me in their indigenous language of GuaraníI and in English. 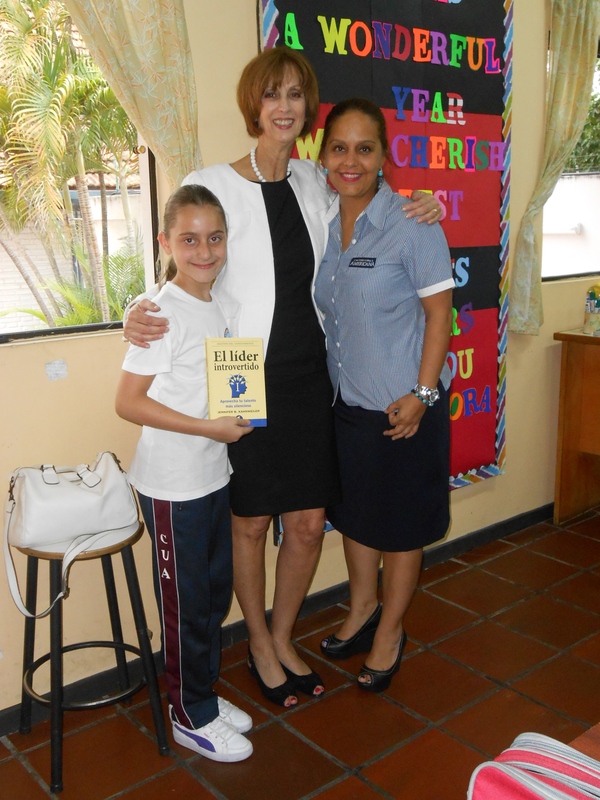 My young interpreter, Fabiana, smiled and said, “Jennifer you have tears.” It was so moving to see these eager young students sing so proudly. The next day I led a seminar on The Introverted Leader for 100 members of the business and university community, including leaders of several sponsoring organizations. The participants were receptive and engaged and the involvement of their leaders demonstrated a strong belief in the value of introverted leadership and continuous learning. My last “official act” was to serve as a judge for an English spelling bee. The kids were incredibly proficient and we had to offer them many challenge words before anyone was eliminated. Another thrill. During the workshop, I had the gift of simultaneous translation (two interpreters translating every word). I also found that we read each other’s non-verbals. I could tell when I was reaching people and when I was not. Despite an initial concern that my stories and examples wouldn’t translate, there were few disconnects. For instance, making “loving” fun of husband Bill needed no translation. The comedian Victor Borge was right: “Laughter is the shortest distance between two people.” Our audiences pick up on our authenticity and our ability to laugh at ourselves. I have always found that travel is a multi-sensory crash course in learning about a country and its people. A major lesson is that true connection comes through conversation. Paraguayans are warm people who smile, kiss you on both cheeks in greeting and are hungry to learn about you and share their own stories. Talking about a wide range of topics over leisurely lunches and late dinners is the norm. Most remarkable to me was that technology has not hijacked communication. Like the Quiet Influencers I have studied, Paraguayans use focused conversations to offer support and encouragement, spark learning, solve problems and work through conflicts. They use their smart phones but their devices don’t dominate. Phones were stored away during presentations and checked occasionally in meetings. One night, I actually witnessed a group of hip 20-somethings playing cards. Remember card games? On my last day in Paraguay, Richar and I got hopelessly lost on a trip outside the city. We didn’t have a GPS and actually had to stop and ask directions. It turned out to be a true adventure with torrential rains surrounding our van. Our meandering conversation about movies, the best way to learn a language (watch foreign movies with subtitles then without) and our families would not have occurred if we had a GPS to guide us to our destination, (or a minute by minute weather report from a weather app). 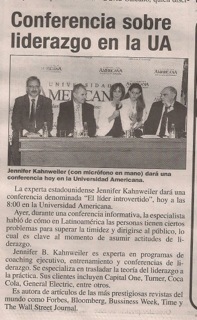 I am looking forward to a return visit with my new Paraguayan friends in the next year. Several of us made promises to work on our respective language abilities. We spoke through interpreters but I believe that learning to communicate in the same language will help us “find our voices” in even more impactful ways. Sounds like a great trip and experience. I always love to read about people traveling to foreign lands and coming away with the realization that we all are similar in wants, needs, etc. Thanks Phil. I agree…we are all people. Hope you get to travel to cool places during your retirement! Sounds like a lovely trip! What an enriching experience. Thanks for sharing it. Thanks Dorothy. It really was and I am glad you found the blog post of value. You are welcome Dorothy…Taking a play from the introvert playbook of writing and reflecting on experiences….Love the focus of your work.